Dustless Blasting IS the future of surface preparation. Do you think we would let a chemical reaction like flash rusting stop us from creating a clean, paint ready surface? We have 100's of videos on our YouTube channel blasting all sorts of metal and people still think that within hours there will be rust settling in resulting in more work needing to be done. Is that the case? No way, and here's why. It is specially formulated for the Dustless Blasting process and for our machines, preventing flash rust for up to 72 hours. Use of this product will improve coating adhesion and enhance paint performance all while being non-toxic, biodegradable and non-hazardous. When used correctly by following 4 easy steps, a perfect paint ready surface can be achieved. Blasting with rust inhibitor in the water cleans the metal while preventing it from being embedded with chlorides. After blasting, the metal still needs a final rinse. Using the Inhibitor and water at a 1.3 oz per gallon ratio will work perfect. Allowing the metal to dry completely is important. Using something like a leaf blower can quickly remove any standing water from the metal. 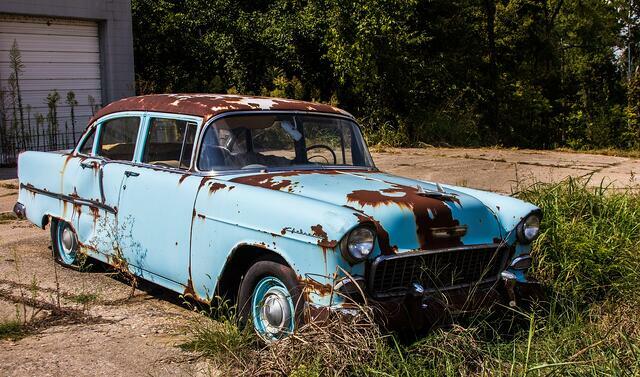 Dirt, body oil and moisture all cause rust. Be sure to wear clean rubber gloves when handling the metal and keep away from causes of additional moisture (like morning dew) if left out overnight. There you have it, flash rusting doesn't have to occur when Dustless Blasting. Remember Rust Inhibitor won't prevent rust from ever occurring, it just gives you up to 72 hours to be ready to prime and paint. You can purchase Rust Inhibitor from our online store.